Victoria, BC (March 11, 2019) – Victoria’s The Courtney Room will host three wine dinners, celebrating the best of boutique British Columbia wines, with delicious menus from chefs de cuisine Chris Klassen and Brian Tesolin. 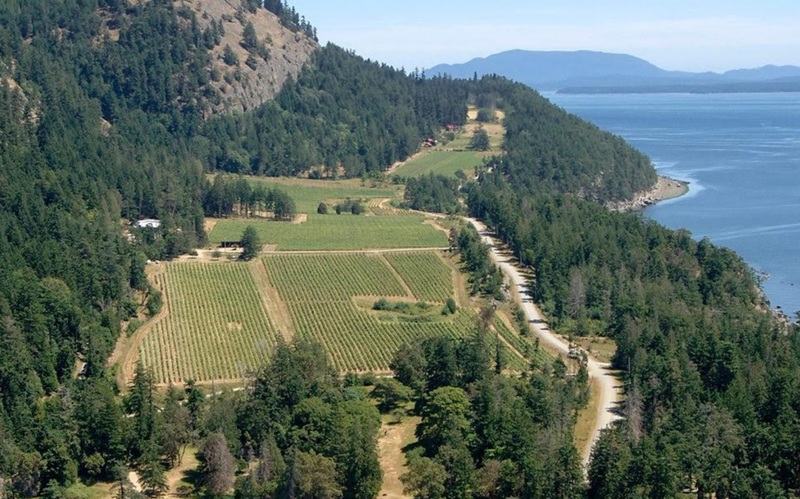 The first winemaker dinner, taking place on March 17th, 2019 will feature an exceptional selection of wine from Sea Star Vineyards ($120 per person), crafted from grapes grown organically in ocean-side vineyards on Pender Island and Saturna Island. 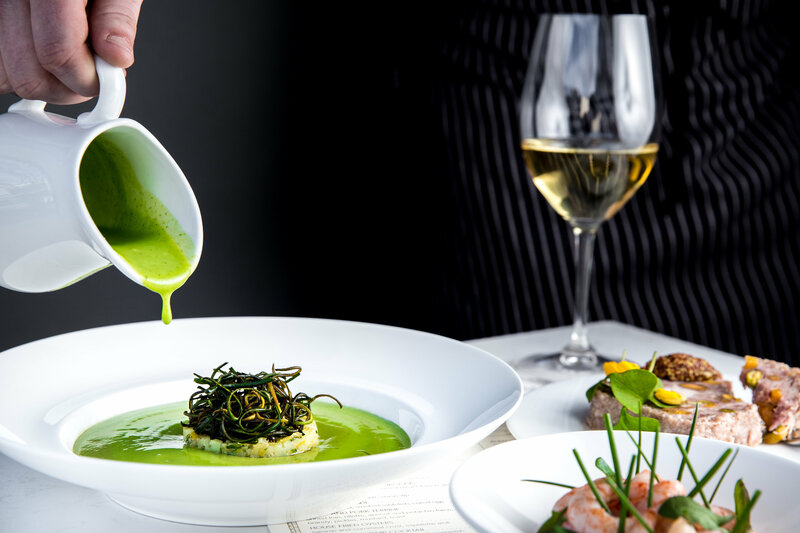 The six-course menu includes: Dungeness crab with koji and mushroom custard, paired with the winery’s Siegerrebe; squab with rhubarb, Du Puy lentil and guanciale, with Blanc de Noir; and apple tarte tatin with Sea Star’s dessert wine Prose (Riesling with a touch of local apple). Both Sea Star’s winemaker, Ian Baker and owner David Goudge, will be attending to share their knowledge and passion with guests. The dinner series continues on June 2 with the Cowichan Valley’s Unsworth Vineyards and concludes on June 16 with Kelowna’s Kitsch Wines. Visit www.thecourtneyroom.com for more details on menus and pairings, which will be announced shortly. The Courtney Room is also offering family-style dinners every Sunday evening for $35 per person. Enjoy four shareable courses with family and friends in a relaxed long table setting. Reservations are highly recommended, as the events will sell out quickly. To book your place, email reservations@thecourtneyroom.com or call 250.940.4090. I had no idea what Chaider was until the spicy aroma tickled my rosy red nose when I walked into the familiar warmth of the lobby at Victoria’s Magnolia Hotel & Spa. I has just wheeled my carry-on two blocks up Courtney Street from the Harbour AirSeaplane Terminal in the historic inner harbour on a blustery winter’s day. The glimmering urn next to the check-in counter contained chai-spiked cider, a twist on the usual welcoming beverage served up to all guests, and a taste of the hospitality and charm that has earned the hotel nation-wide awards and accolades. I first visited the Magnolia on a girls weekend with Keira-Anne back in 2010. We spent the weekend alternating between spa flip flops (downstairs) and the slippers provided in our room, gazing out at the twinkling Legislature buildings. Since that time I have been back with John a few times for delicious menu introductions, romance packages, and even a few work trips (for both him and me). Along with the lobby cider (or lemony iced tea in the summer) there are other touches we enjoy year-over-year. The glass bottle of water in our room when we check in, along with a chocolate and apple for each guest. Robes and slippers in the closet, and Saltspring Soapworks bubble bath perched on the tub. The Magnolia team thinks of everything, and while it’s tempting to lay about in your robe in front of a Diamond Room fireplace all day and watch rainbows form across the harbour(which I did rather enjoy over the Christmas holidays) they have handy Curated Trail Mapsso that you can get out and experience the very best of the capital city. If you’re looking for teas, tapas, running routes, bike trails, and more, they have colourful cards that can be your guide. Of course there have been some changes over the least decade, including room renovations, tech upgrades (even minor conveniences like updated iPhone docks next to the bed that don’t require an adapter) and the hotel’s restaurant. The Courtney Roomsprang to life in the spring of 2018 after a complete down-to-the-studs remodel. 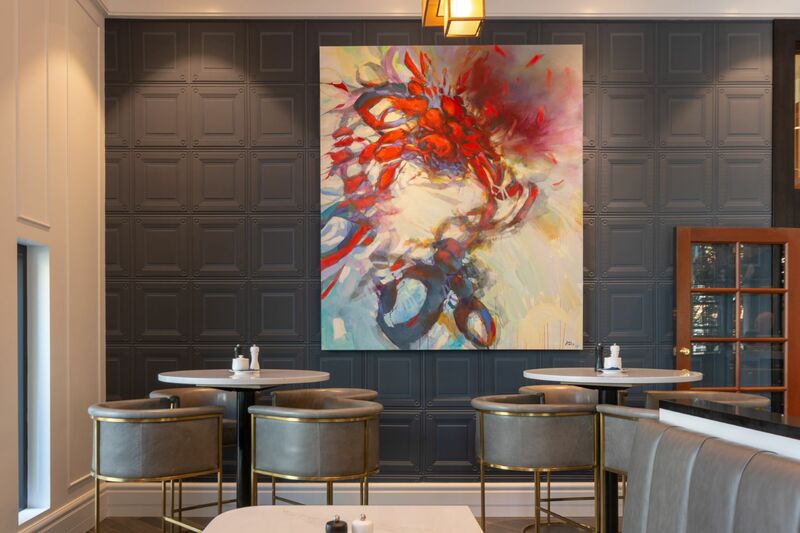 The restaurant has an inviting Art Nouveau refresh and Chef Chris Klassen’s menu celebrates Canada’s local and seasonal products with a classic French twist – including house-smoked meats. It’s had such a great launch that it was recently name #10 Best New Restaurant in Canada! Island charm, Vancouver Island’s own style of sparkling wine and in particular the bubbly – from Mill Bay’s own Unsworth Vineyards – that goes into a French 250 in the Courtney Room along with Empress 1908 gin, local honey and lemon. Enjoy Instagram-worthy cocktails in the lounge, which definitely taste as good as they look. There are inventive house cocktails listed in the menu or you can ask the mixology staff for recommendations based on your taste or preferred spirit. I had The Legend of Massimo with vodka, house made limoncello, Manitou, fresh lemon, pistachio syrup and a sprinkling of nutmeg on top. Not too sweet or sour, it was sinfully smooth and I’m a sucker for any house made limoncello. You can head to the dining room upstairs for a decadent dinner with options like Cheam View Pork Belly & Scallops, Yarrow Meadows Duck Breast, or Beef Tenderloin Oscar, or stay in the lounge for hearty Happy Hour treats like the signature Potatoes Courtney, Mushroom Stuffed Mushrooms, Fried Chicken or Gruyere Mac & Cheese. Indulge in an elegant room with two-poster bed and floor to ceiling windows, sink into a deep tub with Saltspring Soapworks sparkling bubble bath and pop the cork on a bottle of sparkling wine. Linger over brunch in The Courtney Room restaurant the next morning before exploring beautiful Victoria’s shopping, galleries and museums. Book online or call 1-877-624-6654 to find out more. The package runs until March 31, 2019 with rates starting from $235 per night. Rates are for double occupancy, exclusive of tax and vary by room type and travel dates. You’ll love the location, the room decor, brunch, and your soothing baths (complete with whisk to whip up the biggest bubbles). 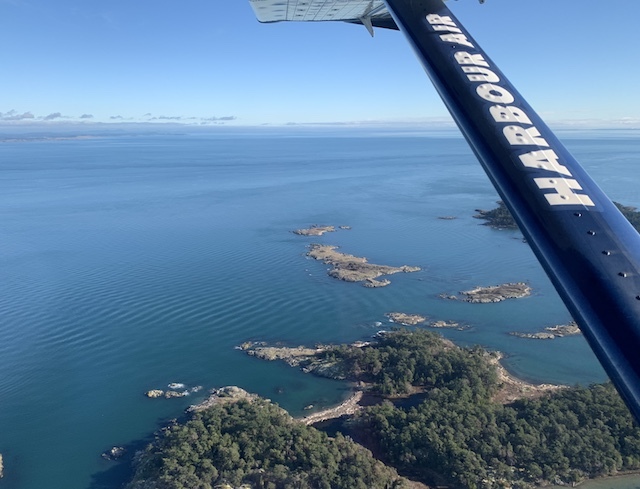 Even better yet, take a Harbour Air seaplane from Downtown Vancouver to Downtown Victoria. It’s 35 minutes and aside from getting there quickly, it’s so scenic! Definitely a great start to any island getaway. Finally, if you go, please report back to me to let me know what the lobby welcome beverage was being served so I may grab a virtual to-go cup and be vicariously whisked away to this dreamy location. Much appreciated! 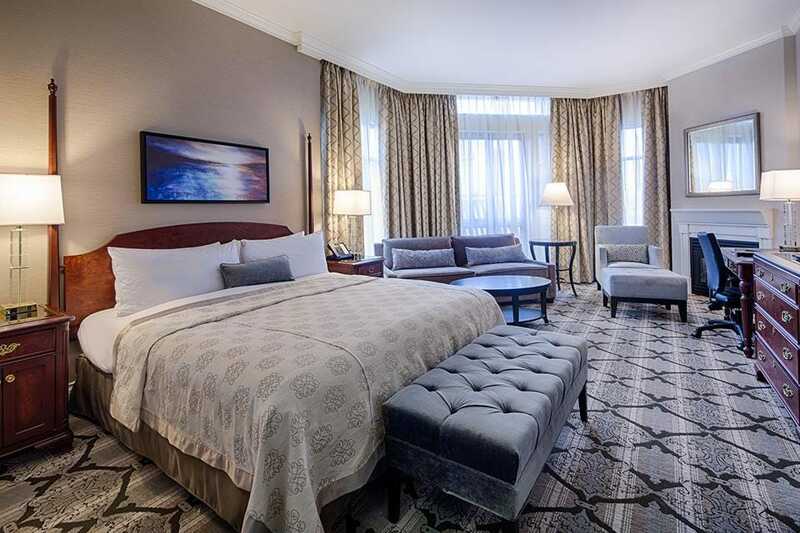 Victoria, BC (February 1, 2019) – Indulge in a romantic escape with the Magnolia Hotel & Spa’s Bed, Bubbles & Brunch package, reigniting the spark with relaxation, delicious food and valuable time together. Whether you’re looking for antique treasures, locally made bath and beauty products or unique clothing, British Columbia’s capital city delivers. Base yourself at the luxurious Magnolia Hotel & Spa. Start your day with a five-minute walk to Discovery Coffee’s Blanshard Street location for an Americano and a Yonni’s doughnut before wandering down Fort Street and into the many antique stores. Shop for old-school gems and retro treasures at funky Zeitgeist Vintage Store and at Charmaine’s Past & Present Home Collection. After a lunch of Crispy Chicken Tacos at Tacofino on Fort Street, walk 20 minutes to the Art Gallery of Greater Victoria to admire the paintings of Emily Carr, a Victoria-born legend. Then, walk 25 minutes down View Street to Government Street for a little shopping at Sitka, a local surf, clothing and lifestyle store. Return to the Magnolia for dinner at the hotel’s recently opened restaurant, The Courtney Room, an elegant spot known for its seasonal cuisine. Enjoy a late brunch at the Jam Café, which serves all-day breakfast. Then, make your way to Chinatown to explore its many stores; visit Fan Tan Alley, the narrowest street in Canada, to purchase rare records from The Turntable and leather handbags from Jovee Handcrafted. Continue across Pandora Avenue to browse The Regional Assembly of Text—a stationery store—and Tonic Jewelry. Shop for clothing from Oxford and Still Life on boutique-packed Lower Johnson Street before walking north to Phillips Brewing and Malting’s tasting room for a pint. 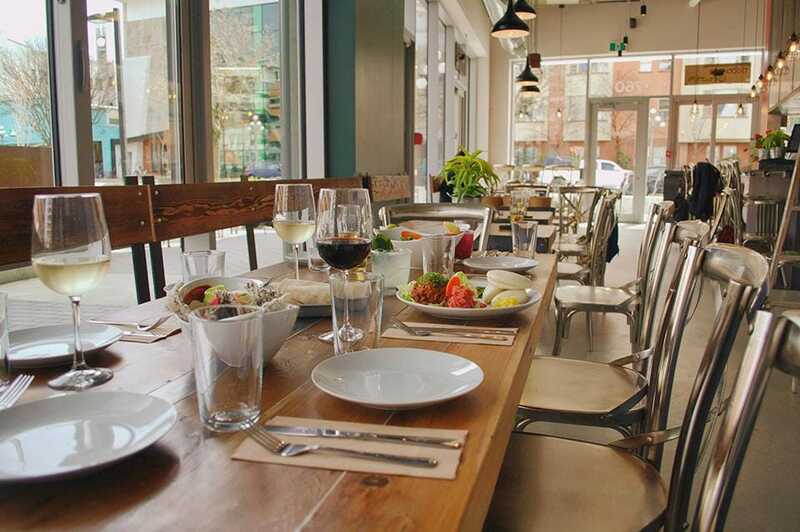 Spend the rest of the day in the artsy Fernwood neighbourhood; look for vintage clothing, local art and ceramics in Luna Collective before having a charcuterie dinner at Stage Wine Bar. Finish with a theatre production at Belfry Theatre: Mustard and Griffin & Sabine are its final two shows in 2018. Vancouver Island is fast becoming a national culinary powerhouse, and no wonder — it boasts a remarkable bounty of fresh, local produce. Is there something in the water? The soil? The air? Or simply the kitchens? Whatever the magical ingredient is, it seems that Vancouver Island — from Victoria to Tofino to the surrounding Gulf Islands — has suddenly become a national culinary powerhouse. Take this year’s enRoute Magazine nominations for Canada’s best new restaurants. Two Island restaurants made the list of 30: Victoria’s chicly French-accented The Courtney Room and the casual smoke-scented 1909 Kitchen in Tofino. Lest you think this is an aberration, just glance back at the last few years: To 2016, when Victoria’s Agrius came in at No. 4 overall; 2015, when tiny Pilgrimme on Galiano Island was No. 3; and 2014, when Tofino’s Wolf in the Fog took first place in all of Canada. That’s a lot of recognition for an area with only about two per cent of the nation’s population. So just what’s cooking over there across the Strait of Georgia? As in so many other industries, Vancouver’s astronomical real estate prices are driving talented young chefs out of town to smaller, more affordable communities. Chris Whittaker, formerly of the Listel Hotel’s Forage and Timber, is just one. He recently packed his knives and headed off to Quaaout Lodge in the Shuswap, where he can hunt, forage and raise his young family in a beautifully bucolic setting. The island, though, has a special draw beyond budget-friendly accommodation. It also boasts a remarkable bounty of fresh, local produce that presents a delicious palette for a creative chef. From the Saanich Peninsula and Cowichan Valley in the south to the Comox Valley in the north, almost everything grows on or around the island: dairy, poultry, lamb, orchard fruits, berries, vegetables, wine grapes, even exotica such as lemons, olives, kiwi fruit and tea leaves. “We have some of the best produce in the world, and we have some of the best seafood,” says Sam Harris, executive chef at The Courtney Room. The culinary scene wasn’t always like this. Vancouver Island’s culture has long been influenced by its British colonial history. That meant you could always find a decent bowl of chowder or basket of fish ‘n’ chips. But good luck finding other ethnic dishes, let alone the nouvelle cuisine that was so fashionable elsewhere in the 1960s and ’70s. Back then, Victoria had Pagliacci’s for kitschy pasta, the Empress for fancy roast beef dinners, Ming’s for Chinese, and countless tea rooms serving a proper afternoon cuppa. Up island was a bit of a culinary wasteland. Then three significant things happened. In 1979, Sinclair and Frederique Philip opened Sooke Harbour House, a.k.a. “Chez Panisse north,” where they served shellfish from the waters off the Whiffin Spit, chickens raised by the neighbours, wild mushrooms foraged from the forests, and a confetti of edible flowers plucked from their own gardens. In 1984 John Mitchell and Paul Hadfield opened Spinnakers, Canada’s first brew pub, in the Victoria suburb of Esquimalt. They designed it to be a welcoming “public place” where guests could enjoy good food, good beer and good company — a marked departure from the sadly punitive drinking dens typical of the 1970s and ’80s. Then in 1996, the Wickaninnish Inn flung open its doors on Tofino’s Chesterman Beach, and head chef Rod Butters sent his hapless apprentices cycling down to the docks for fresh crab and prawns, confident he could serve Relais & Châteaux-worthy food in the wilderness. These three establishments proved not only that chefs could create world-class cuisine from local ingredients on Vancouver Island, but that people would travel from all over the world to enjoy it. Today the island boasts ingredient-driven restaurants in just about every community from Port Renfrew to Port Hardy, as well as dozens of food artisans, wineries, breweries and distilleries making delicious things from local produce. But just as important as the ingredients that come from the sea and soil are the people who transform them into food and drink. “I think we have a real movement of chefs and other hospitality professionals really embracing what we are,” Harris says. It helps that the Island has such a strong, supportive food and drink community, which comprises, among others, the prestigious culinary arts program at Vancouver Island University, the Island Chefs Collaborative connecting chefs with farmers and food artisans, and North America’s first Slow Food Community, Cowichan Bay. “The kind of people that are drawn to the island are open-minded when it comes to food, and really care where ingredients come from. It’s great,” Moran says. And Vancouver Island’s food scene is still evolving, with the long overdue arrival of Asian and other world cuisines, as well as a general elevation in culinary skills, thanks in part to the availability of chef tutorials online. For now, there’s enRoute, and growing national recognition. Longtime visitors to Tofino might remember 1909 Kitchen as that slightly dodgy pub on the waterfront. Today, it is coolly modern, with stunning views of Clayoquot Sound from its floor-ceiling windows. At its heart is a wood-fired oven where Moran roasts everything from pizzas to crispy cauliflower to tender, miso-glazed black cod. As for Harris, this is not his first dance with the awards: he was opening chef de cuisine at Agrius when it earned its Top 10 nod in 2016. But when the Magnolia Hotel decided to bring its restaurant in house and transform it into an elegant fine-dining room, Harris jumped at the opportunity to return to his roots in white-tableclothed hotel restaurants. “I always loved that start-to-finish experience of how far you can go with fine dining … to really transport someone through the level of service and the quality of the food,” he says. He’s delighted by the nomination, and the affirmation it brings to his “classically modern” cuisine that travels from house-cured charcuterie through to perfectly miniature mignardises. 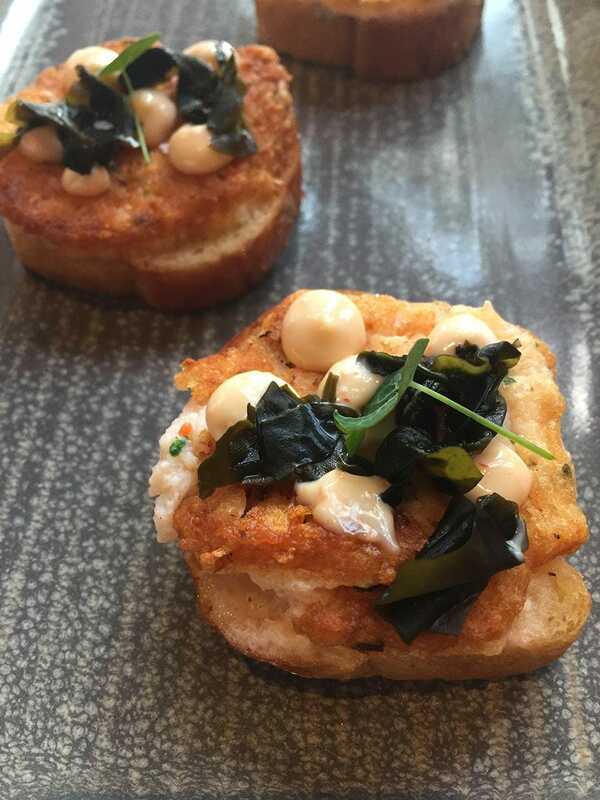 By Paul Moran, executive chef of 1909 Kitchen at the Tofino Marine Resort. Thinly slice daikon radish into 2-by-2-inch (5 cm) “leaves” and store in cool water. Slice albacore tuna into 1/2 oz (15 g) cubes (you should have about 20 similarly sized cubes). Toss with white soy and chives, cover and chill until ready to serve. In a deep-sided fry pan, heat the canola oil to 325 F (160 C) and quickly fry the shredded phyllo until it is lightly golden brown, about 1 to 2 minutes. Remove from oil and drain on absorbent paper. To assemble: Remove daikon leaves from water and pat dry. Arrange on a platter. Place a dot of the nori aoli in the centre of each leaf. Add a piece of dressed tuna and a piece of torn shiso leaf. Finish with crispy phyllo and serve with a lime wedge. Recipe by Sam Harris, executive chef of The Courtney Room at Victoria’s Magnolia Hotel. Preheat oven to 300 F (150 C). Peel shrimp and reserve shells for shrimp oil. Place peeled shrimp in a heatproof bowl. Put ice water in a separate bowl. Bring water, salt and lemon juice to a simmer at 175 F (80 C) and pour over shrimp. Poach for 2 minutes, then, using a skimmer, remove shrimp from cooking liquid and plunge into ice water. Cool for 5 minutes, then strain and pat dry with a kitchen towel. Chill until ready to serve. Make shrimp oil: Place shrimp shells on a baking sheet and roast in the oven for 10 minutes. Heat olive oil in a sauté pan over medium heat. Add shrimp shells, paprika and sliced garlic and lightly sauté for about 5 minutes, until shells are pink and garlic is fragrant but not browned. Transfer mixture to a high-speed blender and purée for 2 minutes on highest speed. Strain through a coffee filter and leave to cool to room temperature. Make cocktail sauce: Mix together diced tomato, creamed horseradish and ketchup. To assemble: Divide crème fraîche between 4 serving bowls. Top with cocktail sauce, shrimp, shrimp oil, chives and optional sheep sorrel. Serve with bread or crackers. 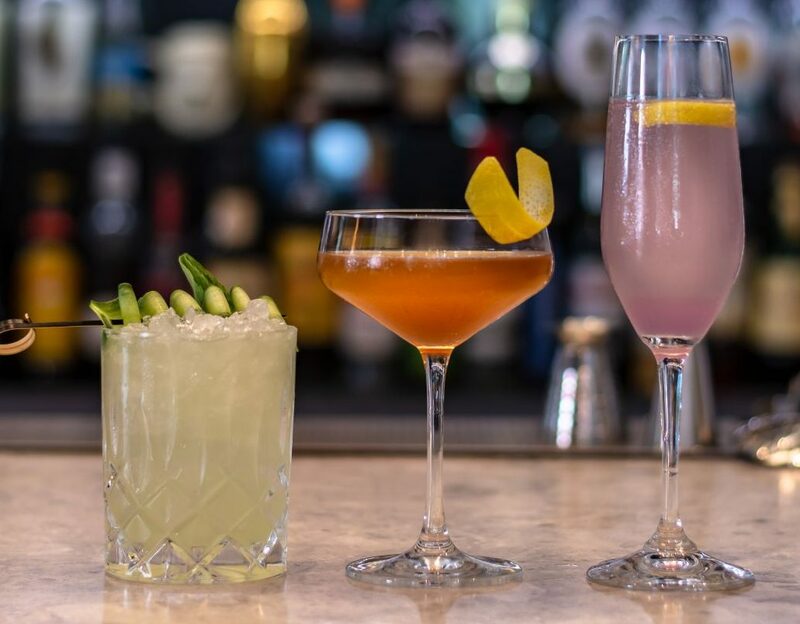 The cocktail scene continues to grow around the globe, and it’s no different in Victoria, British Columbia on Canada’s west coast. 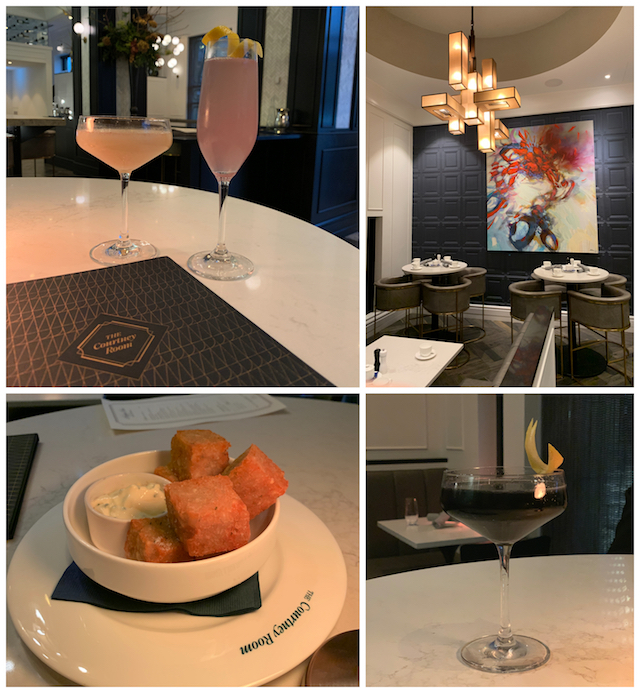 While visiting the Magnolia Hotel & Spa on Vancouver Island, I had the opportunity spend a bit of time in their newly renovated restaurant and cocktail lounge, The Courtney Room. 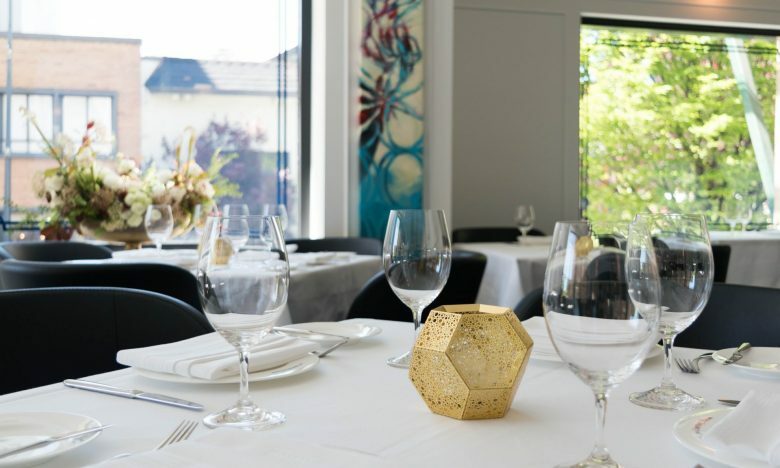 Following a $1.5 Million renovation, the Courtney Room emerges as a bright shining star on the Victoria food and cocktail scene. The first drink (on the left) is called the Midnight in Oaxaca (pronounced wah-ha-ka), is a variation of a “maid style” cocktail. This drink is equal parts Tequila and Mezcal, fresh lime, simple syrup, cucumber and mint muddled, and habanero bitters. Garnished with a cucumber ribbon and mint sprig, it’s served over crushed ice, leaving you refreshed and ready for another. The perfect combination for a summer cocktail. This drink is a riff on a classic rum punch recipe from old English times. It is rum based with a splash of bourbon, fresh lemon, water, and a London fog tea syrup. It is called The Oak Bay because of it’s connection to England, and how strong the British roots are in Oak Bay, which is a charming village community tucked into the City in Victoria. This fluted cocktail is their local take on a French 75, while paying homage to 250 – Victoria’s area code. The cocktail features Victoria Distillers Empress 1908 gin, fresh lemon, and a honey syrup made from local Wild Mountain honey in nearby Sooke, which is then topped up with Unsworth Charme de L’ile, which is a well known Vancouver Island produced prosecco style sparkling wine. 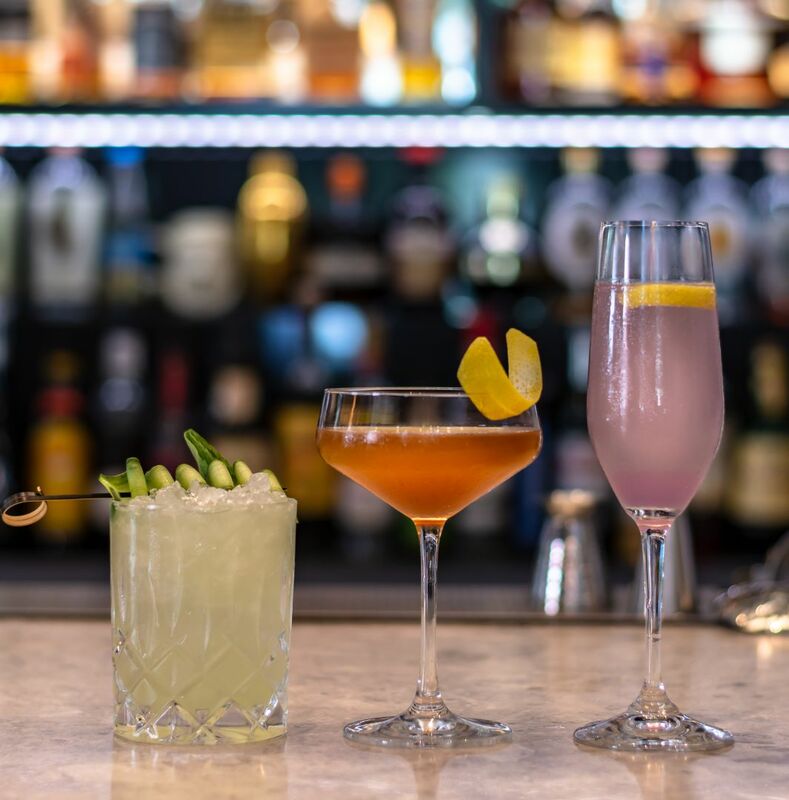 On your next visit to Victoria, British Columbia – be sure to spend a little time in The Courtney Room bar, sipping and experience some of the best cocktails in the region. When considering Canada’s best food cities, Toronto, Vancouver and Montreal undisputedly clinch the title. And if you press further, destinations like Prince Edward Island and Quebec City shoot up as contenders. But there’s one Canadian city that’s quietly vying for epicurean attention: Vancouver Island’s Victoria. Victoria’s food scene gets eclipsed by nearby Vancouver, but British Columbia’s capital has long earned its culinary cred: it was home to Canada’s first brewpub; it has a neighboring wine region; it serves one of the best high teas in the country; it boasts the nation’s oldest Chinatown; and Canada’s first chocolatier started here. Dig in to find out why you should taste your way through the Pacific Northwest’s oldest city. 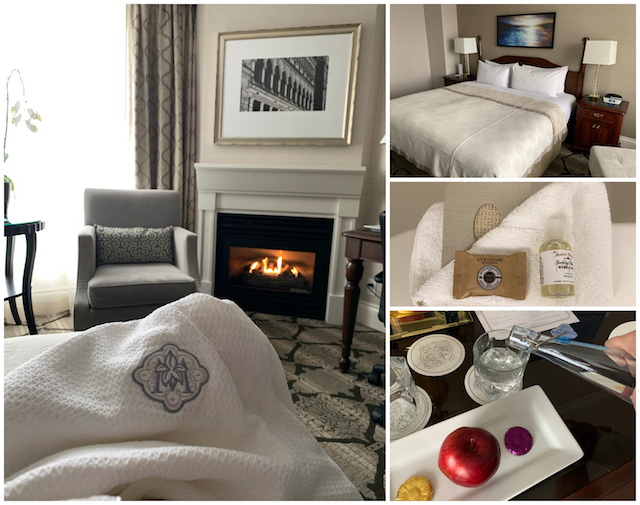 For our Victoria culinary tour, we checked into The Magnolia Hotel & Spa, and not just because the Forbes Travel Guide Four-Star hotel has an excellent location mere blocks from the Inner Harbour or because of its plush, sophisticated accommodations. 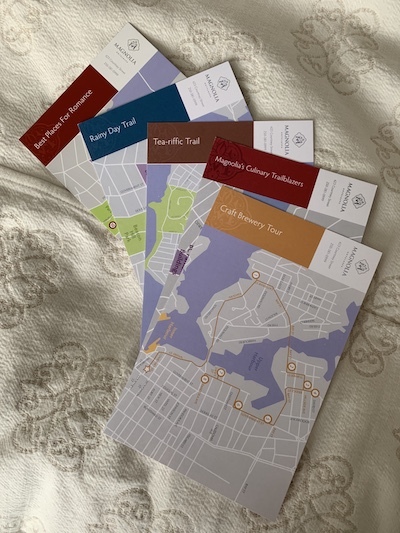 The 64-room boutique hotel offers fun self-guided itineraries for guests called Curated Trails, a number of which revolve around food and drink. Here are highlights from Magnolia’s Culinary Trailblazers, Craft Brewery and Tea-riffic Trails tours, plus some other delicious spots we found along the way. The first stop is at the hotel’s chic brand-new restaurant that debuted in April. Come for fine dining or to soak up the sun on the new patio, which gives a glimpse of the domed capitol building, one of Victoria’s most-recognized sights. Then linger into the wee hours at the white marble bar for Midnight in Oaxaca cocktails (Los Siete Misterios Doba-Yej mezcal, lime, habanero bitters, mint, cucumber) and the irresistible potatoes Courtney (duck fat tater tots accompanied by onion dip). At dinner, order the seasonal tasting menu to see how chef Sam Harris spotlights local ingredients in French dishes. 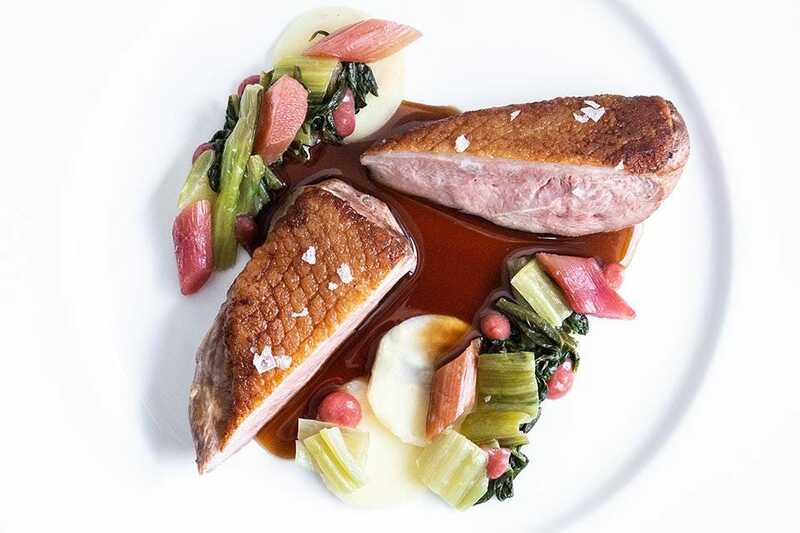 A tender Yarrow Meadows duck breast is covered with crispy skin and comes with carrots, turnips and pickled rhubarb. Local halibut goes decadent with a pool of airy, ethereal whipped béarnaise and tarragon. Add on the caviar service. The sustainable, organic Northern Divine pearls, chives and creamy “dip” (garlic, garlic and onion powder, crème fraîche, egg yolk, grapeseed and olive oils, lemon juice) on top of a housemade chip was one of the best bites on the menu. And opt for the vino pairings — you’ll get a nice sampling of the local Cowichan wine region. The cozy space basks in a warm glow from its orange-yellow walls and birds-nest-like lighting fixtures. The food goes for an artful presentation, but it’s just as homey as the environs. The addictive deep-fried semolina cubes with garlic mayo will have you requesting a second round. The vegetable platter gets an upgrade with a deeply smoky white bean hummus. For a seafood-heavy dish that won’t weigh you down, choose the sablefish collar with clams, potato, kale, daikon and shellfish butter. Chef Kunal Ghose firmly established himself in Victoria’s food scene with popular restaurants like Red Fish Blue Fish and Fishhook. For his April-opened venture, he embraced Dobosala’s location fronting Pandora Avenue’s new bike lane and went with a fast-casual concept that has the only ride-through window in the city. But it’s worth parking your two-wheeler and taking a seat inside the industrial eatery to savor Ghose’s bright, flavorful Indo-Pacific fusion. Try the crispy pakora with kimchi crema and tamari-tamarind ponzu; “squimp” onigiri — rice balls with Humboldt squid, Tofino shrimp, sockeye belly sashimi and horseradish mayo; and the adobo-gochujang chicken stuffed in a tortilla cone. Wash it down with a housemade mango-hibiscus iced tea. 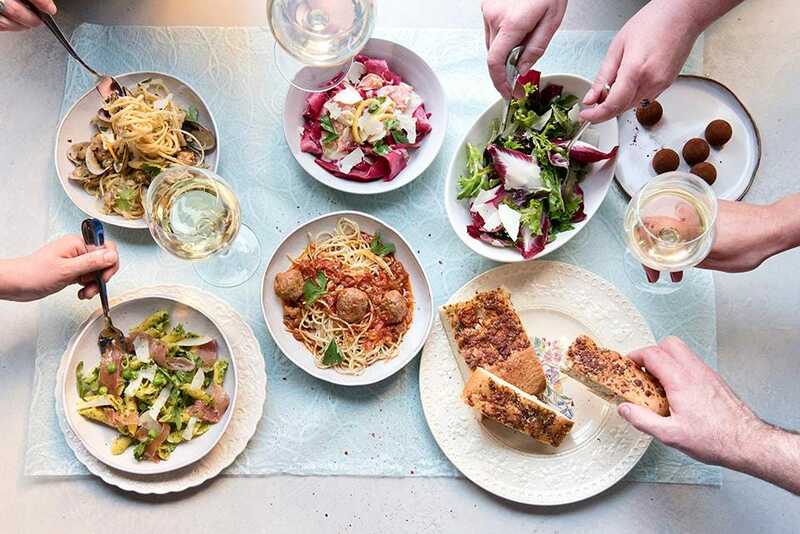 At the small public market, save your appetite for La Pasta, which debuted in May. The spot churns out handmade pasta daily. Order the comforting carbonara with toothsome spaghetti and porchetta bits or the fusilli pesto topped with generous dollops of fresh ricotta. But first begin with antipasti like fried artichokes with lemon aioli for some brightness as well as the rich arancini. Or venture over to Very Good Butchers. The first vegan butchery on Canada’s west coast, it specializes in plant-based “meat.” Try a dish featuring the smoky seitan bacon or the “pepperoni,” which gives more of a kick than its beef-and-pork counterpart. Hidden along Chinatown’s photogenic Fan Tan Alley — Canada’s narrowest street — sits this scoop shop. You can’t go wrong with from-scratch ice cream like the luscious salted caramel in a house-baked waffle cone, but the parlor is known for its paletas (Latin American popsicles upgraded with fresh fruit and fun ingredients) in creative flavors like quince Creamsicle; mango, black currant and lime; and mocha cheesecake. 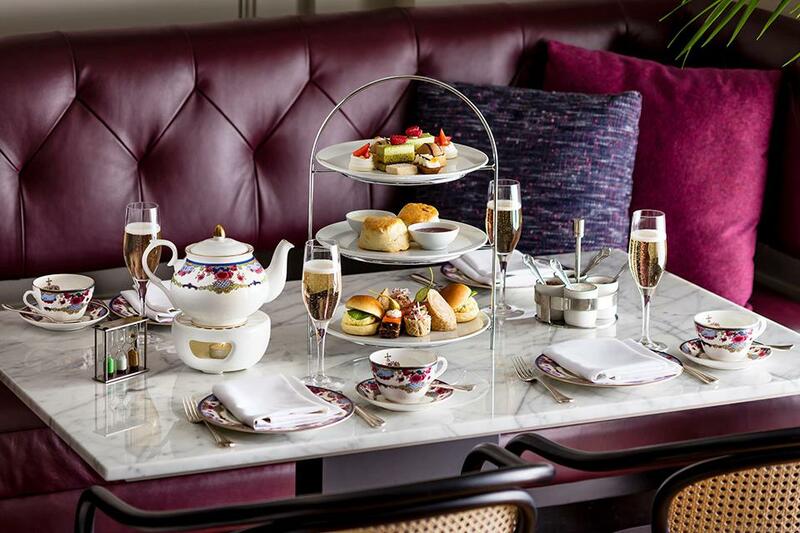 Half a million cups of tea are poured annually at the Forbes Travel Guide Four-Star hotel, whose afternoon ritual has been a Victoria tradition since 1908. Don’t let the date fool you: the modern room overlooking the harbor makes for one of Canada’s best tea experiences. Thoughtful details abound: the china bears the same timeless purple-and-pink pattern that King George VI and Queen Elizabeth chose for a 1939 dinner party they hosted at the hotel; the menu arrives in an elegant wooden box that also holds samples of each high-quality blend; the housemade strawberry jam uses local berries, honey from the hotel’s beehives and lavender from its rooftop garden; and servers are warm, welcoming and ready with just the right recommendations. Even if you’re not one for tea, come for the Empress 1908 gin. The hotel’s small-batch, butterfly-pea-blossom-infused pour possesses an indigo hue that turns lavender when you add citrus or tonic. The color-changing G&T is a must for your Instagram feed, but also for its great taste, with juniper and grapefruit notes. 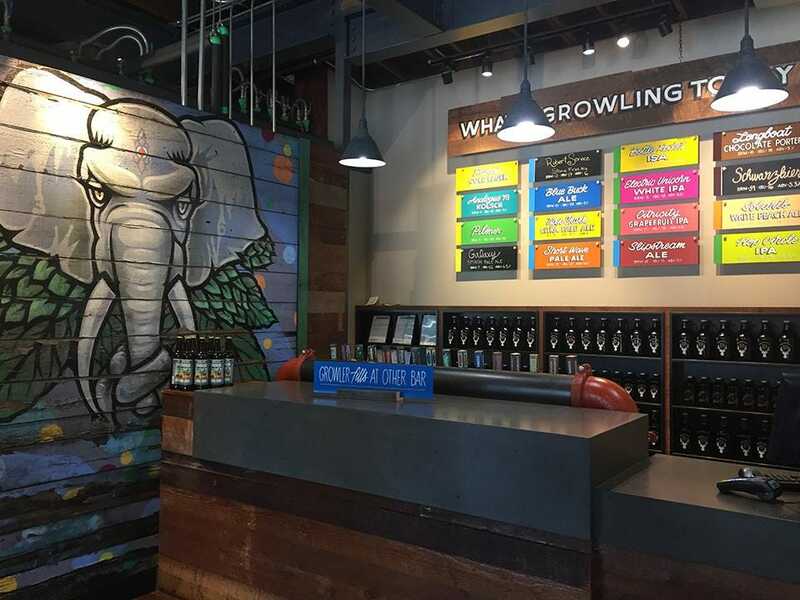 The brewery launched in 2001, but it added the city’s first tasting room in April. Head there to sample the easy-to-drink Blue Buck or Robert Service Stone Fired Ale. But everyone will find something to sip here. Check out the all-natural house sodas — i.e., made without syrups or other artificial sweeteners — like the effervescent, Creamsicle-like Dare Devil orange. Seek out a small neon elephant above the Pacific Transfer Building sign, enter and go to the end of the hallway for this restaurant/bar. The brick-walled, pressed-copper ceiling space is an inviting local favorite for well-crafted cocktails. Follow the Victorians and ask for A Convicted Melon (Altos tequila, Campari, hibiscus, honeydew melon, local Olive the Senses coconut balsamic, Bittermens molé bitters) or the Gin and Tea (Boodles Gin, Silk Road’s Alchemist’s Brew and Berry Victoria teas, lime and flowers). In this tea-loving city, there’s no better souvenir than local leaves. 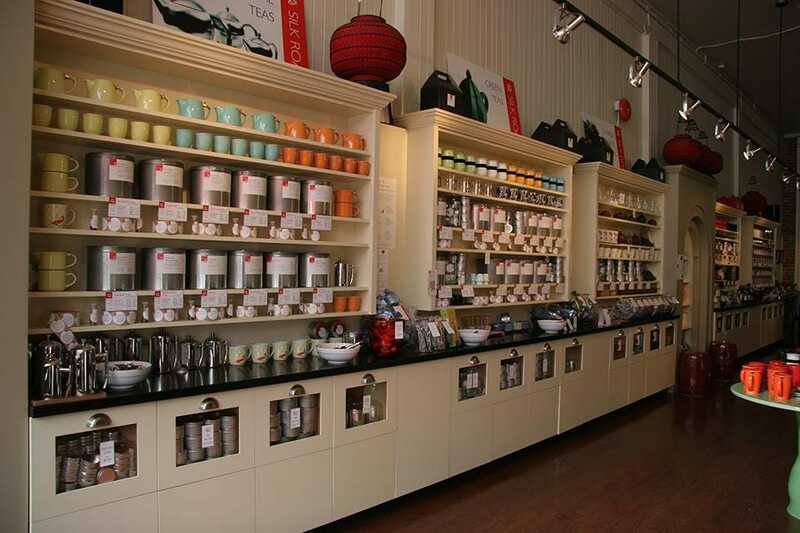 Tea master Daniela Cubelic makes exquisite blends at her Chinatown shop. You’ll notice that Silk Road teas appear all over the city (including Little Jumbo, The Courtney Room and rooms at the Magnolia). Pick up health-targeting teas, like the antioxidant-boosting Beau-Tea-Ful Skincare (white and green leaves, rooibos, calendula, lemon balm, peppermint, lemongrass, lavender) or sinus-relieving Allergy & Hay Fever Defense (take the green tea, peppermint, nettle, holy basil, rooibos and eucalyptus blend three weeks before allergy season to prep your immune system). Or try the 8 Immortals, a special reserve oolong with floral notes that’s supposed to help longevity. 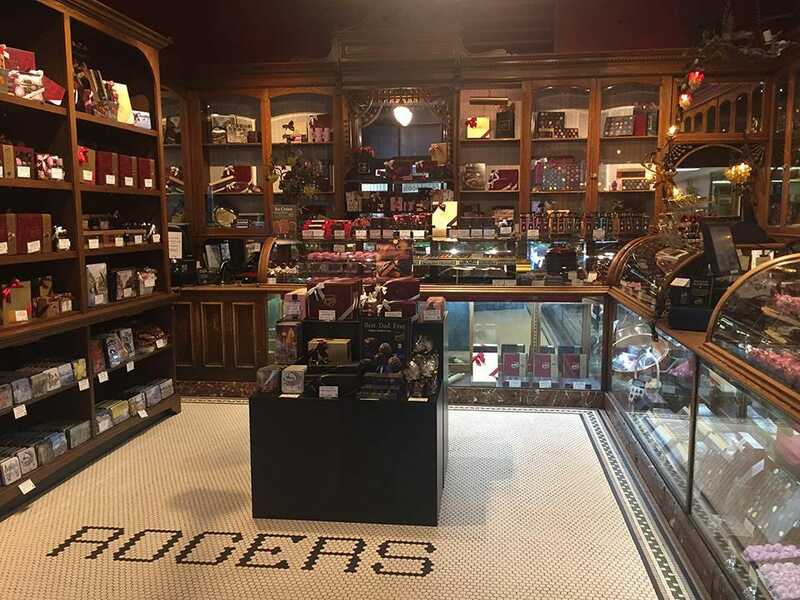 While you can purchase Rogers’ chocolates all over Canada, Charles “Candy” Rogers started his business in Victoria in 1885. His first confection, the Victoria Cream, launched his career as the country’s first chocolatier. Pop into the original Government Street shop, which seems frozen in time. Staff dressed in starched white button-down shirts and black ties stand ready to sate your craving from the wood shelves and glass cases filled with chocolates. The must-buy sweet is Rogers’ Victoria Cream, wrapped in a waxy pink-gingham paper. Enrobed in dark chocolate, the discs are made with fresh cream and fruits and don’t contain any additives. Our favorite was the not-overly-sweet, nut-studded hazelnut. Jennifer Kester is Forbes Travel Guide‘s Executive Editor. Her finger is on the pulse of the latest in luxury travel, spanning hotels, food, culture, top destinations and more. YAM Magazine’s restaurant issue is out, and they have named The Courtney Room Victoria’s Best New Restaurant!